Dylan left town eight years ago because he thought his leaving was best for Tilly. He joined the marines, and having survived some close calls in Afghanistan, although not without scars—physical and psychic—he has returned to Wildstone where he and his buddies Penn and Ric are the proud owners of Wildstone Air Tours. He has also registered for one of Tilly’s art classes. Tilly is shocked to see Dylan in her class, and she insists that all she has to say to him is goodbye. But Dylan is tenacious, and he is committed to persuading Tilly that they deserve a second chance. The volatile chemistry between them helps to make his argument. This is a novella, so the reward of the HEA is not long delayed. Although Quinn and Mick (who are about to become parents for the second time) provide a link to The Lost and Found Sisters and Penn and Ric tease readers with the possibility of new stories, the focus in this novella is solidly on Tilly and Dylan. Shalvis shifts between their past as best friends/first loves and their present. Readers who have not read the earlier book can follow their story without difficulty, but the novella will be a special treat for those whose hearts were won by the teens in the first Wildstone story. 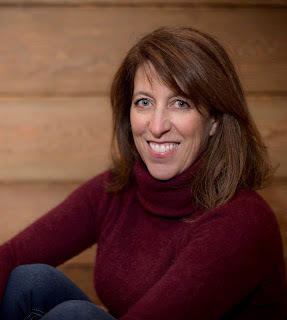 No one is better than Jill Shalvis at creating characters with smart mouths and tender hearts. I can pay her no greater compliment than to say Tilly and Dylan as adults fulfilled their promise as teens, both as individuals and as a couple. They are likable, sympathetic characters with enough baggage to be interesting and enough living to be credible as adults. I was pleased to see that the excerpts from “The Mixed-Up Files of Tilly Adams’s Journal” continued for their cleverness, for what they reveal about Tilly, and for the continuity with the novel. If you are a Shalvis fan, you will not want to miss this novella. If you like contemporary romance with humor, heart, and heat, The Good Luck Sister is a great appetizer for the books of an author with an extraordinary backlist. Add this one to your TBR. Have you read any Jill Shalvis books? Tell us about your favorite Shalvis book or couple. I read her animal magnetism series and enjoyed it. I always like stories that feature dogs. 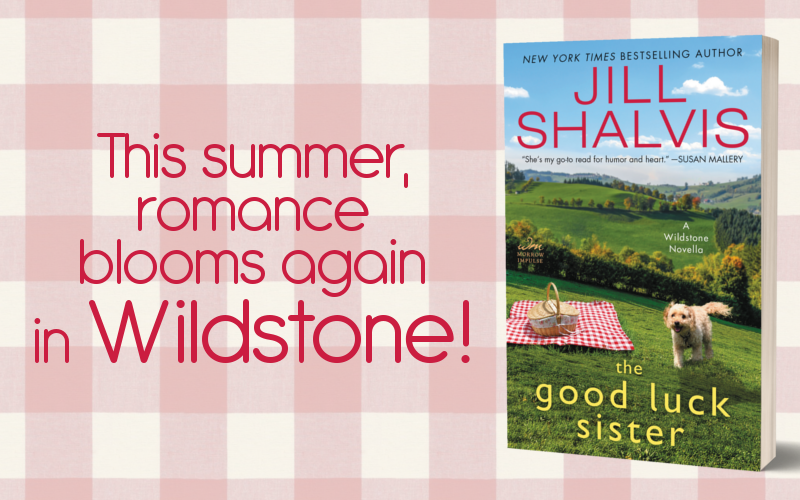 I’ve read lots of Jill’s books, and this one is on my TBR list. My favorite of hers is “Forever and a Day,” book 6 of her Lucky Harbor series, with Grace and Dr. Josh as the H/H. Sounds like that one and "The Good Luck Sister” each feature a difficult dog among the characters. Thanks for the post and giveaway. 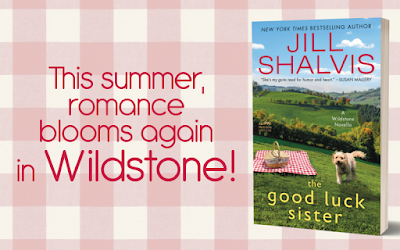 I have read many of Jill's books, and it is hard to pick a favorite. I really liked Animal Magnetism,Lucky in Love, and Head Over Heels. In fact, I can always count on being entertained when I read one of her books. I am a relatively new acolyte of Jill Shalvis. I have several of her books on my Kindle...And I look forward to starring in shortly. Thanks for this review....sounds like a perfect book for me. It's In His Kiss was my favorite. I've read so many and choosing one was hard to pick. Ever since I picked up a copy of The Sweetest Thing, Book 2 in the Lucky Harbor series I've been hooked on Jill Shalvis books. I've read almost everyone of her books except her Harlequin ones. My favorite is always the one I'm reading. I always get a chuckle out of Jill's stories - started with her Animal Magnetism series and really enjoyed her Lucky Harbor series. Sadly, I am here at the last minute. I am out of town and can't check to see which of her books I have read. I love the way she incorporates the dogs into her stories.